Food Lab is a free event that will feature two daily sessions of hands-on food workshops throughout Farmfair International. Join our Food Labs at Northlands during Farmfair International for expert, hands-on culinary instruction. 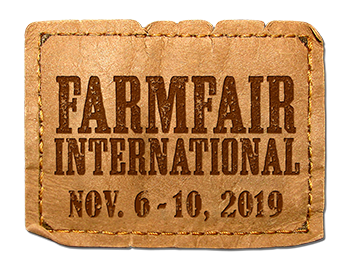 Workshops are free with admission to Farmfair International. Each session will be restricted to 12 participants*, but all guests will be able to watch these lab-style demonstrations from the sidelines. To reserve your hands-on culinary experience, registration is required. *For all Food Lab sessions participants must be 18 years of age or older. Photo ID may be required. Ricotta Cheese 1 p.m. Learn how to make fresh ricotta with simple ingredients found in most home kitchens. Workshop includes tasting of a variety of cheeses from around Alberta. Work with a NAIT Culinary School Instructor as they will direct you through the steps to take milk from the fridge to the plate. Lemon Cheese 3 p.m. Learn how easy it is to make fresh lemon cheese quickly in your own kitchen with simple household ingredients and tools. Old fashioned lemon cheese is a unique spread that makes a great addition to many dishes. Work with a NAIT Culinary School Instructor as they will direct you through the steps to take milk from the fridge to the plate.